that threatens to destroy everything the pirates have built. Assassin's Creed IV Black Flag is out October 29th. 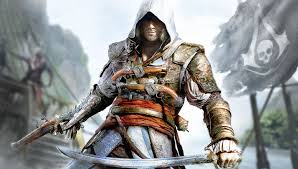 You are Captain Edward Kenway, a pirate among assassins. explore uncharted islands and discover the gritty life of the legendary outlaws of the 18th century.